From July 2 to August 7, 2011, at Kim? 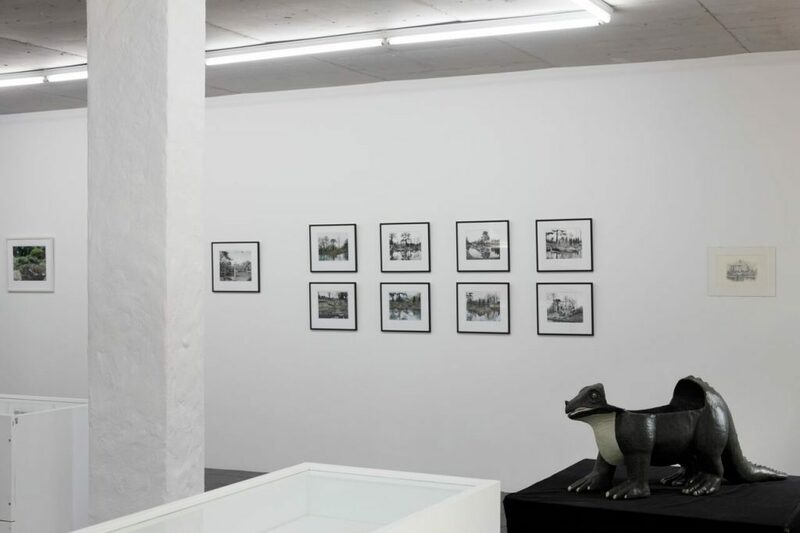 – “The Vegetable Lamb and Other Ravishing Stories From the Past“ – an exhibition by artist Ida Pettersson takes place. The project underlined different myths, stories and scientific discoveries from various eras and parts of the world. The method of examination started with separate mysterious narratives, with no apparent connections to each other, but that eventually intertwined into an unstoppable flow. 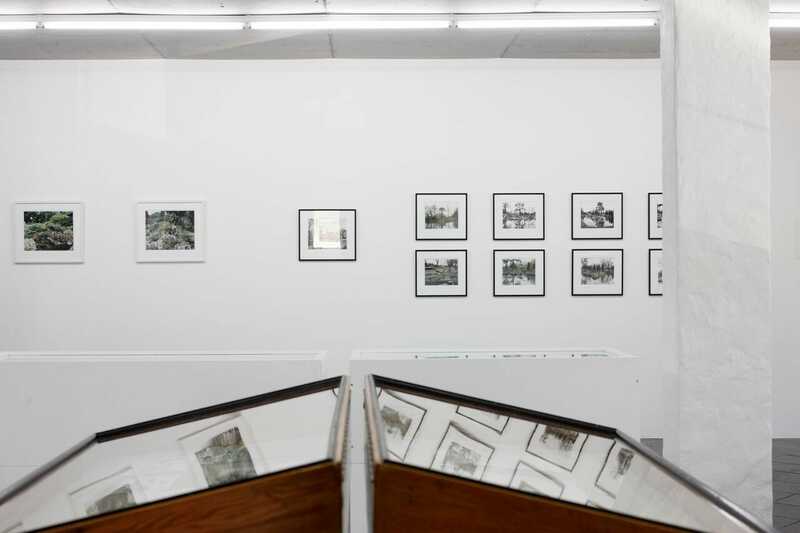 The narrative structure of the exhibition resembles Deleuze and Guattari’s rhizome, a term that they adopted from biology and that they used in their nomad theory of the structure of all things. The rhizome can be described a type of underground root system where the energy is divided among the various entities. In contrast to a tree, they have no clear starting point, but instead grow from several different points simultaneously. The system does not consist of entities but of dimensions and have no beginning or end. The point of departure of the exhibition is the Vegetable Lamb myth. The Vegetable Lamb was said to grow from the ground from its navel, and was incapable of moving itself from its position. It nourished itself by eating the accessible vegetation growing at its feet, and once the grass was gone it starved to death. One explanation behind the myth deals with the possibility that it might have been confused with Chinese sculptures of dogs made of ferns. When European explorers arrived in India in search of The Vegetable Lamb, they found only what was said to be dried examples and brought them home to Europe. Towards the end of the 1600s, the story was ended abruptly when the eminent Sir Hans Sloane exposed the Vegetable Lamb as a hoax. The animal’s legs were the ferns stems and its fur the fern rhizome of the Cibotium barometz. Other myths refer to the Myrmecoleon, the Squonk and the Zaratan. The Myrmecoleon is half lion half ant and is often interpreted as an allegory over the sense of instability in the face of the unknown. The Squonk is constantly sad due to its ugliness. Few have seen one in the flesh, but there is a story of a hunter who once succeeded in capturing one. On his way home with his prize the hunter suddenly feels the sack become lighter, and when he looks inside the creature is gone leaving only tears behind. Several versions of the myth of the Zaratan exist throughout the world. The stories vary slightly but they most tell of how sailors at sea discover an unknown island. When the crew steps ashore and lights a fire, the island suddenly sinks into the sea. It is said that these islands are actually large fishes, turtles or giant whales. One part of the exhibition is based on myths and is mirrored against the second part that is based on scientific discoveries. The scientific part is characterised by pedagogy, teaching, sorting and classification. In order to achieve this one must tame nature and make use of stagings in the form of miniatures and relocations. Non-native plants are moved to the botanical gardens. The photo series Le Jardin Alpin shows alpine plants at the Botanical Gardens in Paris. The plants are relocated outside their home environment in small man-made worlds, set adrift as it were, and although they do survive in their new environment, they perhaps long to return home. In the photo suite Crystal Palace, dinosaurs from various time periods are depicted together as though they once lived side by side. The Dinosaur Park from 1854 was the first of its kind with the purpose of educating people on what dinosaurs once looked like. This was an ambitious undertaking to say the least, and considerable effort was put into depicting them as correctly as possible, but despite this, the dinosaur renditions became hopelessly outdated shortly after the inauguration due to the discovery of new skeletal remains. In the exhibition, we encounter both more unusual and lesser-known myths as well as classical ones such as the myths of Atlantis and other hidden paradises. Here we find not only a romantic aspect, a longing for a return to nature, but also an enquiry as to what nature consists of when it presents imaginative divergences and discrepancies that hardly seem possible. The drawing suite Island Gigantism presents animals that have developed much larger in size than their relatives on the mainland. The opposite can also occur in isolated locations, namely that certain species shrink. One example is the dwarf elephant whose height rarely exceeded one metre and had a skull twice the size of a human’s with one oval eye socket with space for both eyes. Several discoveries of the remains of this animal have been made in areas that once were part of the realm of Classical Greece, and researchers therefore believe that skeletal remnants found during antiquity might have given rise to the myth of the Cyclops. Two other examples are the palm tree Tahina Spectabilis and the nut Coco de Mer. Tahina Spectabilis was first discovered in Madagascar as late as 2007 and several aspects of this new gigantic palm tree were puzzling to say the least. Besides the fact that it was one of the largest palm trees ever found, it also belonged to a completely new genus with its closest relative found not in Madagascar, but China. Furthermore, it appears only once every fifty years, and upon reaching its full size it flowers itself to death. Coco de Mer is the world’s largest nut and is indigenous only to the Seychelle islands. They were extremely valuable in the 1500s, and before the island kingdom was discovered, no one knew where they came from. The nuts that were found were washed ashore on the Maldives by ocean currents, and it was thought that they grew on mythological trees at the bottom of the sea. Although the quest for new discoveries has always been conducted with great gusto and enthusiasm, tragic fates often appear in its wake. I have already mentioned the Vegetable Lamb, the Dinosaur park, Tahina Spectabilis and the Squonk. Also included in the exhibition is the story of the Dodo that survived for a mere 100 years in the presence of humans before dying out. The term dodo is the Portuguese for idiot and referred to the fact that the large bird was unafraid of humans. 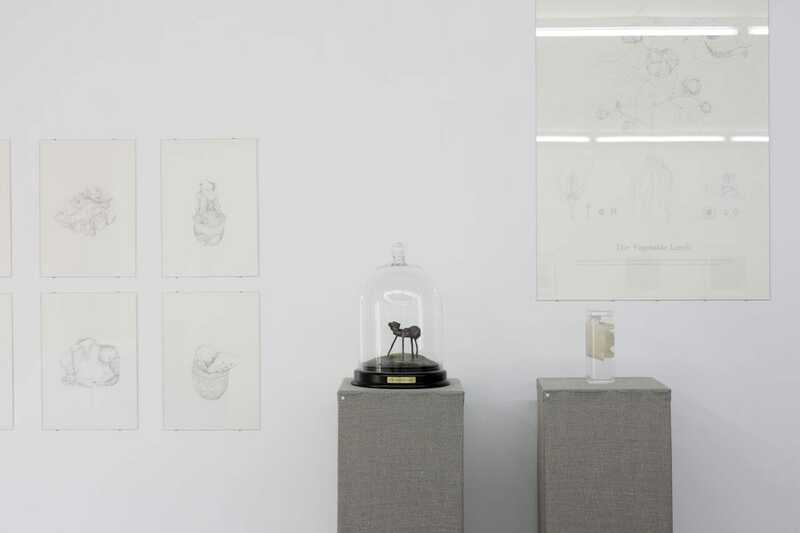 The arrangement of the exhibition resembles both a science museum and a curiosity cabinet. In the exhibition, the accompanying text can admittedly at times be slightly excessive, rendering the experience a little sluggish, but I see the writings more as a flow of sorts that the viewers can make use of as they see fit. One text is added to another creating a palimpsest where the past and present are intertwined. Just as the case is with a well-narrated story where bits are added and taken away each time it is told, the story changes gradually, and with every new reading it acquires a new meaning. Ida Pettersson (1979) is a Swedish artist. Her works include photography, sculpture and drawings. The artist’s main interest is a research of historical myths, legends and scientific observations and especially facts that afterwards have been recognized as mistaken or false. On July 21 at 7 p.m. – “Tracing a Mysterios Animal”, a lecture by the philosopher Jānis Taurens inspired by exhibition “The Vegetable Lamb and Other Ravishing Stories From the Past”. The speach will be dedicated to cryptozoology and theories of possible worlds.